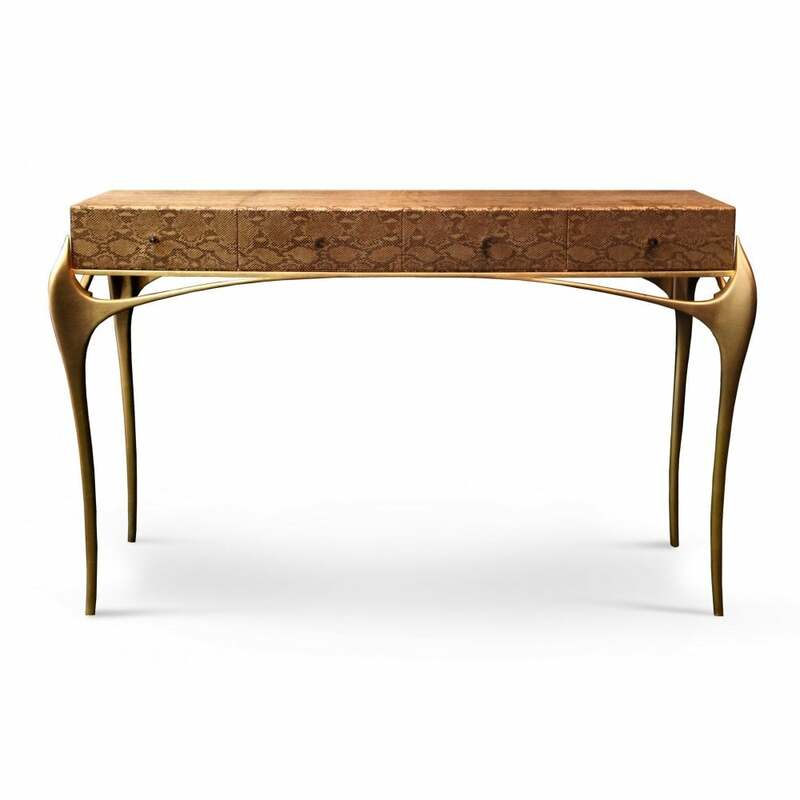 The Temptation console explodes with exoticism & verve with its untamed gold curves playing side note to a four drawer top impeccably wrapped in a bronze metallic embossed python lamb skin and adorned with a bronze crystal on each drawer. Available as Dressing Table & Console. Top: Bronze or pewter metallic embossed python lamb skin; or COL (3 skins required). Base: Gold leaf, aged silver or any lacquer RAL Classic colour.